Beginning tonight, he UCLA Softball team will compete in a best-of-3 versus Arizona series to determine the NCAA Champion in the sport. A great recap on the recent history – as well as tradition – of the program (and the Pac-10) can be found here. 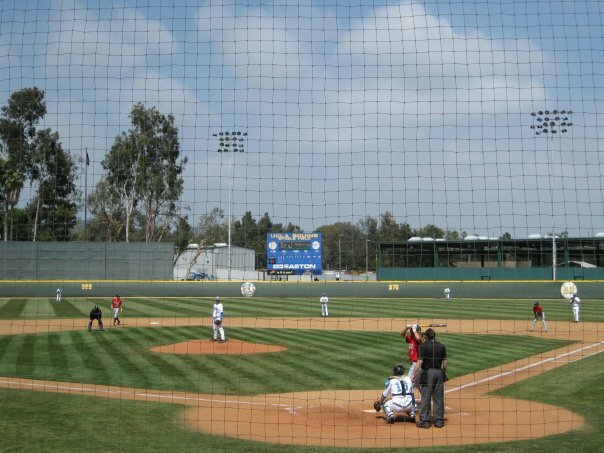 Also, kudos to UCLA Baseball for advancing to the Super Regional after destroying Kent State, defending champion LSU and UC Irvine in the first hosted Regional this weekend. They will play the winner of the Fullerton-Minnesota deciding game today.